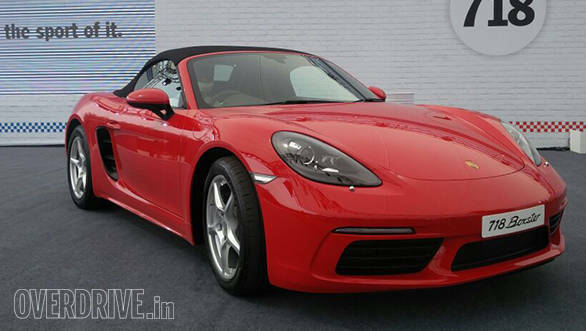 Porsche has launched the new 718 Boxster in India at Rs 85.53 lakh, whereas the Cayman is priced at Rs 81.63 lakh, ex-Delhi. The '718' was Porsche's early generation racecar in the 1950s with a flat 4-cylinder configuration. 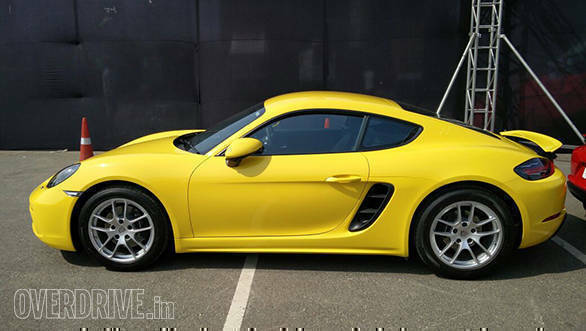 Both the 718 Boxster and Cayman were unveiled by Porsche last year wherein the cars received design changes and tweaked platform. But more importantly, Porsche has replaced its ever so popular, naturally aspirated motors with smaller displacement turbocharged units. The very thought of it did raise eyebrows of many, especially the diehard Porsche enthusiasts. The 718 Boxster is offered with a 2.0-litre flat 4-cylinder turbocharged motor that puts out 300PS and 380Nm. The power and torque numbers have been bumped up, and the torque band now exists between 1,950-4,500rpm. Porsche claims that the 718 Boxster takes 5.1s to reach 100kmph, and paired with the optional PDK dual-clutch transmission and Sport Chrono package, it will reach a maximum speed of 275kmph. Internationally, there is a souped-up version of the Boxster as well - the Boxster S which uses a 2.5-litre turbocharged 4-cylinder motor. 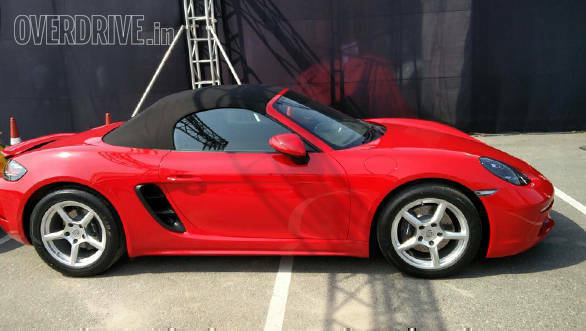 However, India will not be getting this version of the 718 Boxster. 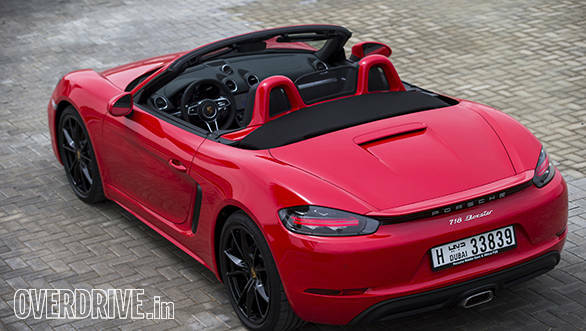 Read our detailed Porsche 718 Boxster review here. The 2017 Porsche 718 Cayman shares its 2.0-litre turbocharged 4-cylinder powertrain with the 718 Boxster, making identical 300PS/380Nm. 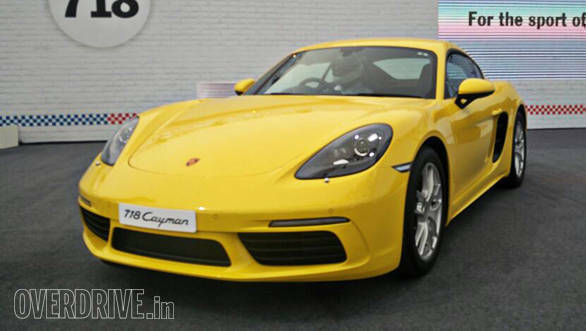 However, the 718 Cayman takes a less 4.7 seconds to reach 100kmph. 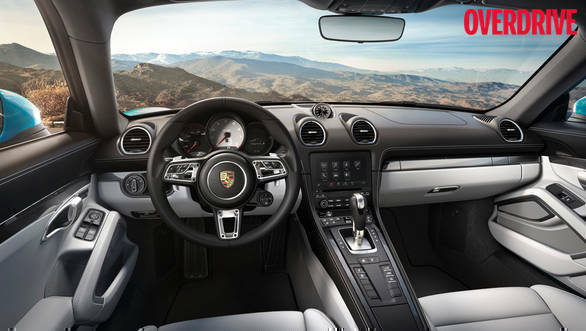 Internationally, one can spec their Boxsters and Caymans with a 6-speed manual transmission, but in India Porsche will offer the 6-speed manual transmission. The company states that the chassis revisions with reworked suspension now offer an even broader spread between ride comfort suitable for long road trips and stiffness necessary for spirited driving. Porsche Active Suspension Management (PASM) is offered as an option and that drops ground clearance by 10mm. In terms of design of the new 718s, the front looks wider and meaner thanks to larger air intakes and the optional LED headlamps in these images that feature four-point DRLs just like on the 918 Spyder. The side is instantly identifiable by the large air intake that feeds the mid-rear mounted motor. At the rear, there's a new strip with an integrated badge that sits between the redesigned tail lamps. The cabin is familiar but with a new steering wheel that incorporates the drive mode rotary button.